With Emily on the coast for girls weekend Eric and I decided to go for a bike ride in the Columbia Gorge. 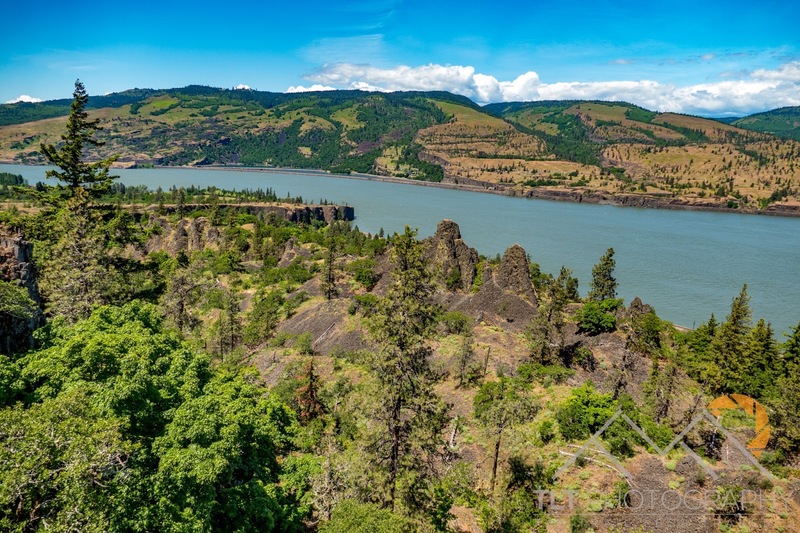 The plan was to ride from Hood River along the Mark Hatfield trail (Mosier Twin Tunnels) through Rowena Crest to the Dalles. 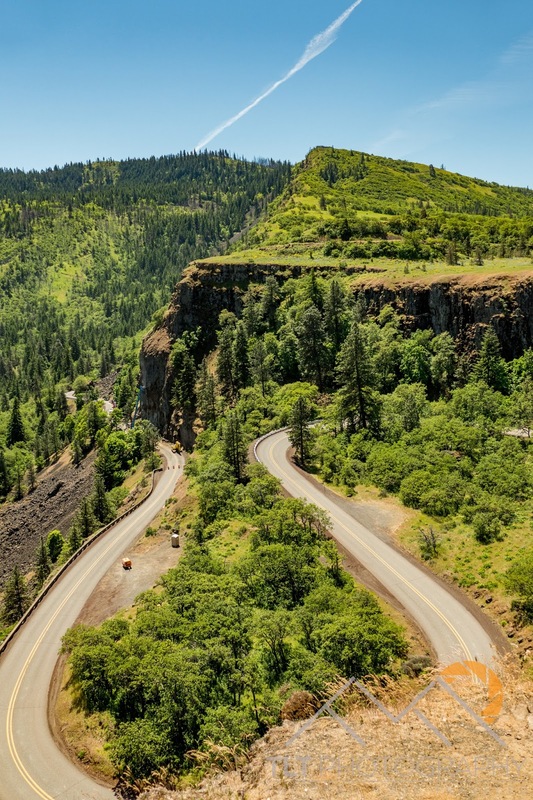 The only problem was that we had heard about a rock slide below Rowena Crest viewpoint that might stop us. Eric and I got a late start, leaving the house around 10:15 in the morning. 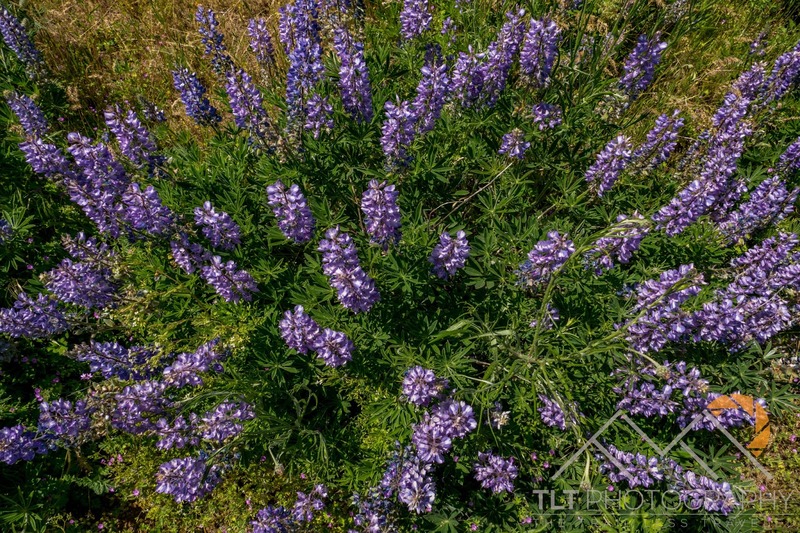 I packed the Mavic Pro just in case the wind was light enough to fly and after the quick drive to Hood River we were on the closed-to-cars path with wildflowers all around us. Only 15 minutes into the pleasant ride I noticed a couple in the middle of the path looking at something. I immediately stopped when I heard the guy say “rattler”. 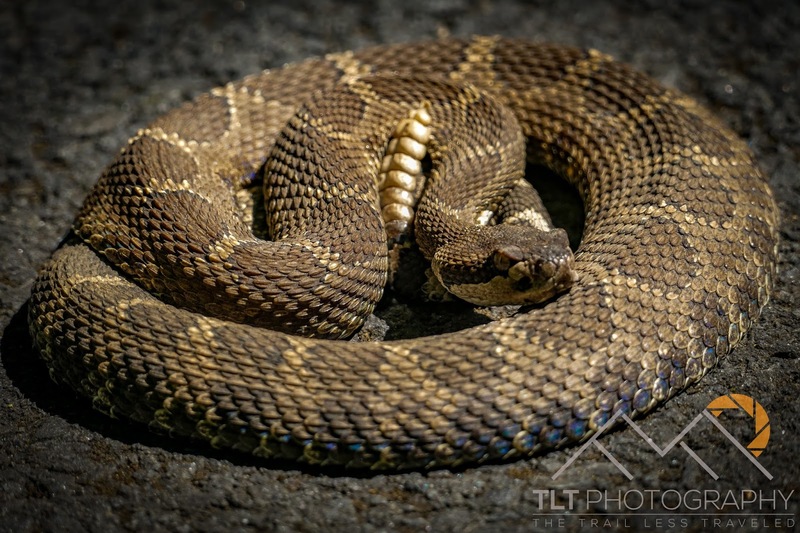 To my amazement it actually was a small rattlesnake sunbathing in the middle of the path. I took a bunch of photos and even got a quick video of it unwinding and slithering across the path, rattling at me to keep my distance! 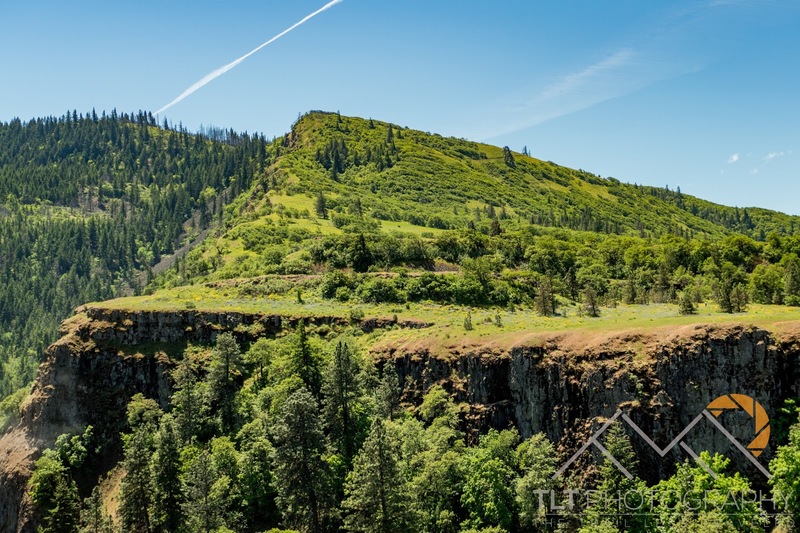 It was a wonderful spring day to be on our bikes and we made it up the hillside to Rowena Crest in short time only to be disappointed to see workers on the rock slide. This meant there was definitely no way we could scramble across it on our bikes to keep going. 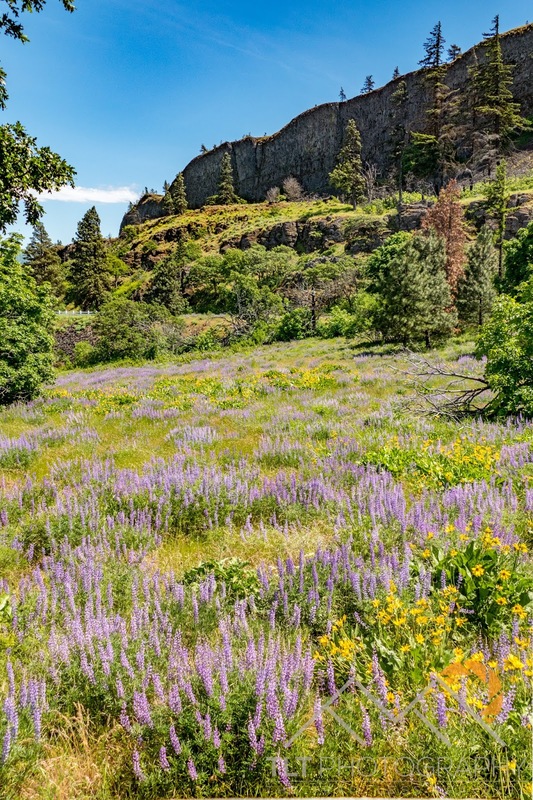 So, we relaxed at Rowena Crest for a snack break talking to a fellow bird photographer, took a bunch of photos of all the amazing wild flowers and turned around into the wind for our ride home. 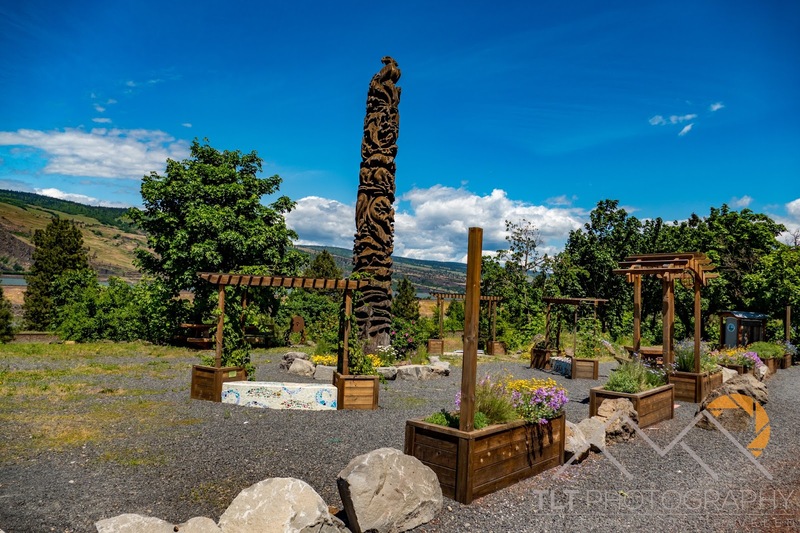 We stopped at few viewpoints on the way back to Eric’s car and I stopped in Mosier to take some pics of a cool public garden area along the roadside. Mosier is a sweet little town I hadn’t really noticed before this ride. 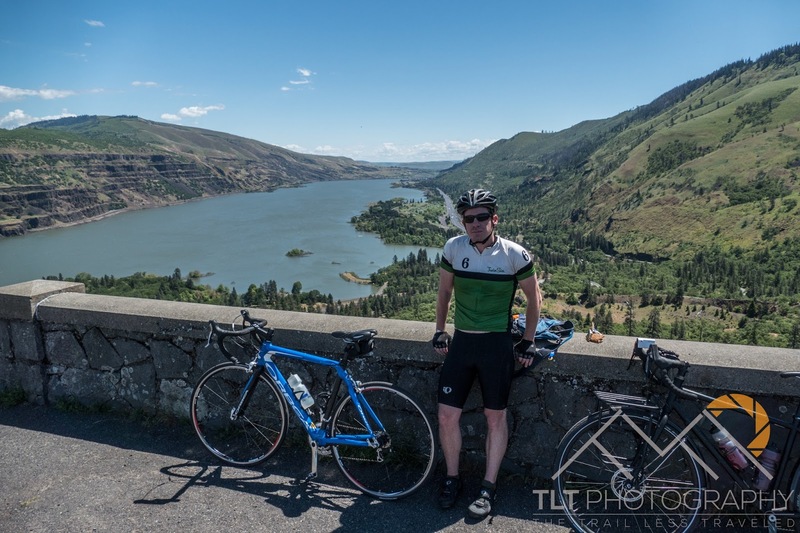 Very bike friendly with gorgeous views right in the middle of the Gorge! I never got to fly the drone because of the high winds but we did manage to get some great photos and got a good 24 mile ride in on a beautiful spring day!